Here's the view out our front door this morning. The most magical, fun weather of 2014 happened on the very last day of the year. 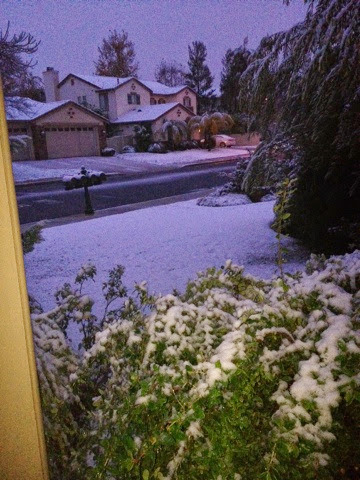 Snow in Temecula? Real, actual, honest to goodness "sticking" snow? Yup! All around town, everything was sparkling, glittering, enchanting. Have a wonderful, fun, cozy, safe New Year's Eve. See you in 2015!